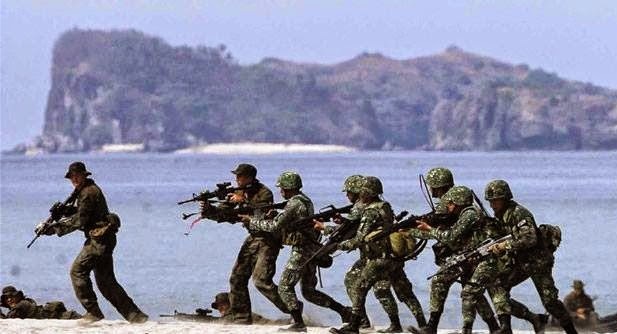 MANILA - The Philippines, together with its long-time military ally, the United States, are already in full gear for the kickoff of this year’s Balikatan Exercises that is set to happen on April 20-30 in strategic locations of the country particularly in the provinces of Tarlac, Nueva Ecija and Zambales of the Central Luzon region. According to the official Facebook page for this event, Balikatan means "shoulder-to-shoulder," and characterizes the spirit of this bilateral Philippines-U.S. exercise. The 10-day joint activities to be participated by nearly 12,000 Filipino and American soldiers this 2015 has been an annual staple event in the region which main goal is to aid each other in strengthening the relations of both countries specifically in military equipment and skills advancement, enhancing Manila’s capability in disaster management, humanitarian assistance and promotion of a stable ring of security on its territories. For the second time around, the Australian government is set to join again after a successful participation last year. Despite the mounting tension between China and its neighboring countries on the issue of territorial dispute in the South China Sea, the 31st edition of Balikatan (BK15) will push through and will surely parallel those of its previous editions thereby strengthening the position of the United States on its unwavering support on its strongest Southeast Asian ally. Although the goal of the wargames is to fortify the relationship of the three countries involved, it will be perceived to deliver a strong message of opposition from the world’s superpower with regards to the complicated geographical expansion being brought by the rising China. China is known for claiming almost the entirety of the South China Sea through its ostentatious nine-dash line in which its neighboring countries such as Taiwan, Malaysia, Vietnam and the Philippines that also has their own claims on the said area disapproves of. The area is believed to comprise of vast natural resources such as natural gas and oil.